Arcady Kirichenko (16.04.1956) was born in Novoshakhtinsk, Russia. Studied at the Moscow Military Music School (at the same time as Arkady Shilkloper). In 1978 was graduated from Moscow Gnessins Music College. Later studied in Kazan Conservatory and in the Institute of Culture. Since 1979 started to play jazz and jazz rock music (Alexander Eisenstadt improvising music ensemble). 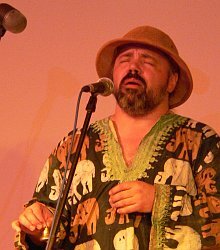 1983 - 1988 played in Moscow-based Dixieland band - Lev Lebedev's Capella Dixie (many festivals in USSR and a festival in Dresden, former East Germany). 1984 - 1986 - worked as an actor and musician at Mossoviet Theatre (in the musical after Berthold Brecht's "Mann ist Mann", directed by Mark Weil). Since 1984 - perpetual participant on the musicals by composer Sergey Dreznin ("Ophelia", etc.). 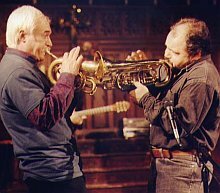 In 1985, Kirichenko, together with Sergey Letov and Arkady Shilkloper, founded "intuitive music ensemble" TRI-O which toured Russia, USA, Europe: venues like the Knitting Factory, Anyway (New York), Bimhuis (Amsterdam), Blue Tomato (Vienna), Sud des Alpes (Geneve), Moods, Rote Fabrik (Zurich). Since 1987 (as the member of TRI-O): participant of the music + spoken word shows by actor Alexander Filippenko. Since 1987 Arcady Kirichenko played at the Pop Mechanics by Sergey Kuryokhin. Alexei Parshchikov, Vladimir Druk a.o. 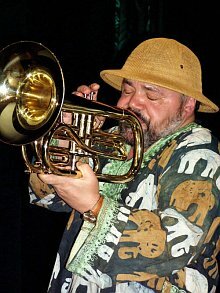 Arcady Kirichenko was the participant of the 1st festival of jazz vocalists in Novosibirsk (1990). Since 1991 Arcady P. FreeMan lives in USA (New York). His change of residence he explained as his desire to touch the roots of jazz, to feel the spirit of the world capital of jazz, to listen and to see his favorite musicians. America made him several presents, like the acquaintance with his compatriots - Boris Rayskin, Ilya Faingersh, Yan Troyanovsky, the Obermaneken group etc., with whom he performed in New York' clubs and cafes (the Knitting Factory, Anyway, CBGB a.o. ), and also with such American musicians as Thomas Chapin, Cara Silvernail, Richard Thomson, LaDonna Smith, Steve Swell, a.o. 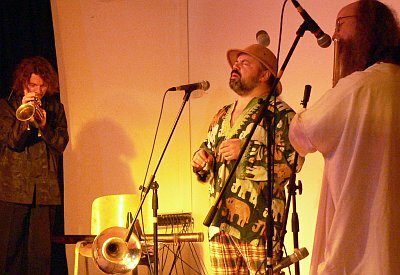 In 1996, together with Boris Rayskin and Yury Zmorovich ,Arcady FreeMan took part in the Birmingham Improv Festival in Birmingham (Alabama). Since 1997 A.F. is the steady participant of the International Festival SKIF, dedicated to the memory of Sergey Kuryokhin (in TRI-O and with other groups). 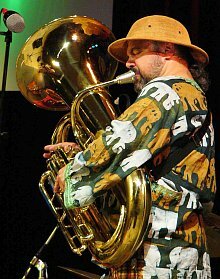 In 2000 in New York he released his solo album "Tuba Mirum Unlimited, Inc.". In 2000 Arcady, under his first name an patronymic, Arcady Petrovich, was the jazz DJ at New York Russian Radio. Also he is known as organizer of a club that unites all nations. Since 2005, Arcady P. FreeMan live in Russia and regularly tours all around the world.